North west London rapper Da Flyy Hooligan released his new album “S.C.U.M.” last Friday October 27th through US label 22 Entertainment. Produced entirely by the UK’s Agor and featuring Westside Gunn and Hus Kingpin, it is available to buy on CD and digital formats from multiple online stores worldwide including Amazon, Bandcamp, iTunes and Spotify. There’s been extensive international media coverage over the past couple of months for the ex Guerilla War Tactix member’s sophomore album, his first in 4 years following the release of Asylum Artistry. 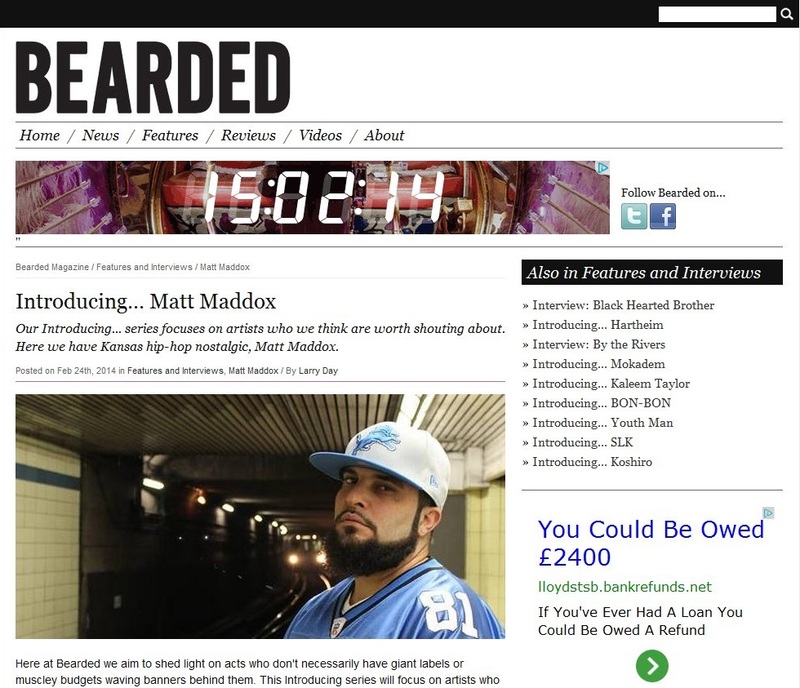 He has taken his time putting the latest release together which he describes as his “most personal to date”, and called in the production skills of Skammadix, Nemesis, Sultan Mir, Jedi Mind Tricks’ C Lance, Vanderslice, Engineer, The Snowgoons’ Sicknature and the UK’s Edd Bundy. 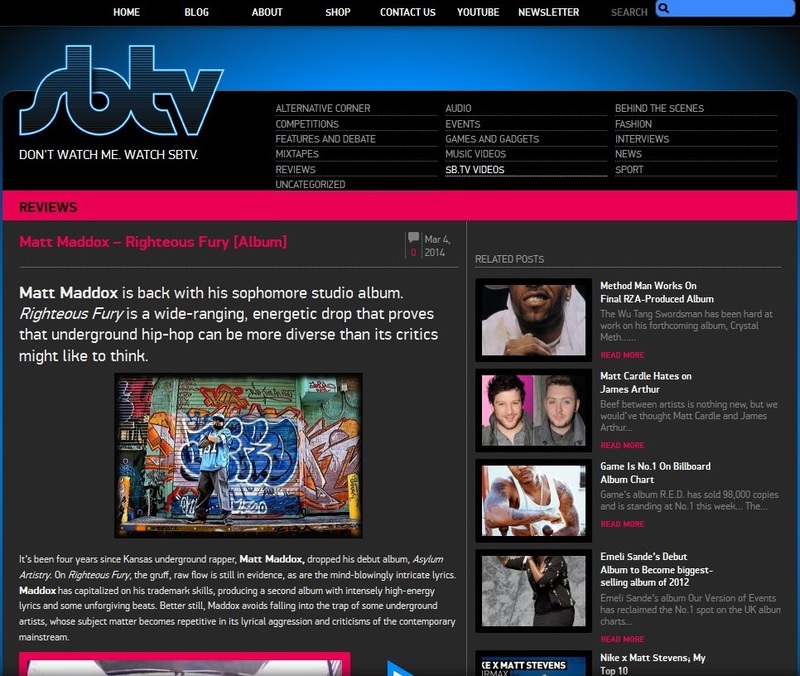 Throughout the album there is turntablism of the highest caliber courtesy of his Red Phone labelmate DJ TMB. 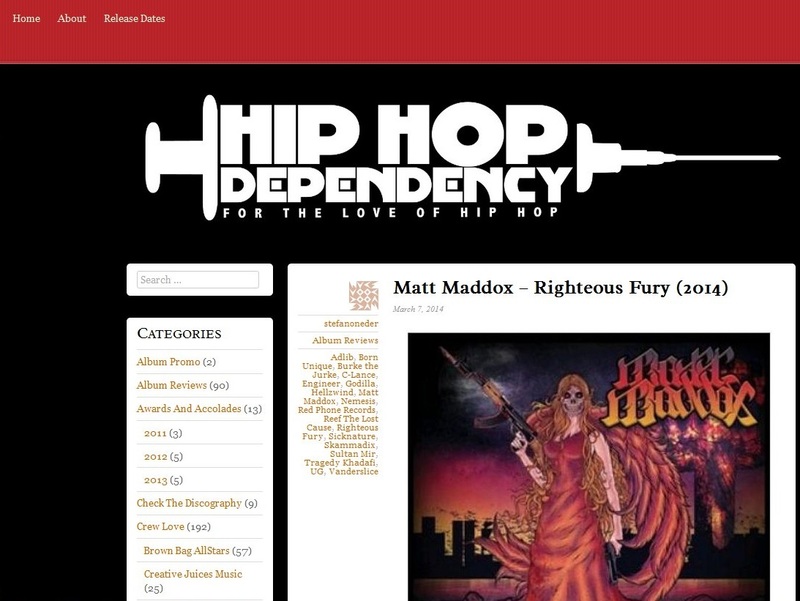 Ex Guerilla War Tactix member Matt Maddox, originally out of Long Beach California but now based in Kansas, released his sophomore album Righteous Fury on 25th February through Red Phone Records / Seven 13 Music. 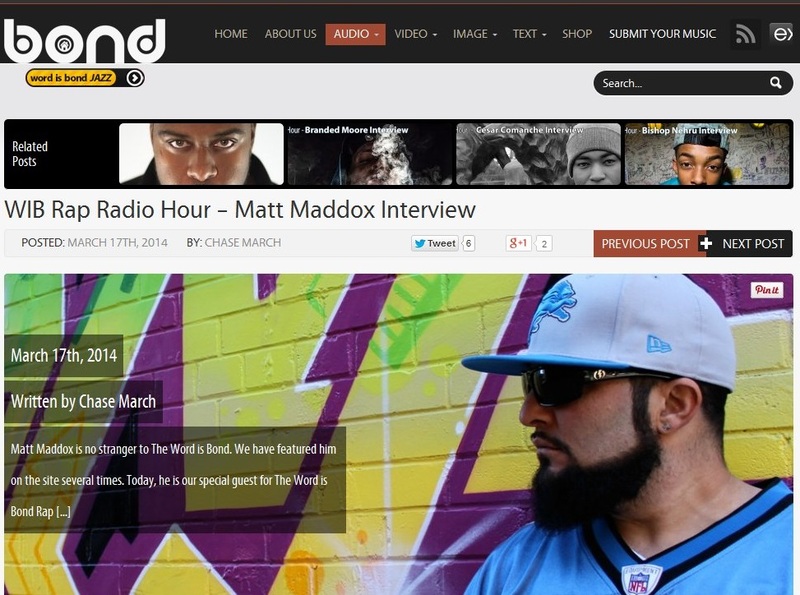 The follow up to Asylum Artistry was a long time in the making and described by Maddox as his most personal to date. 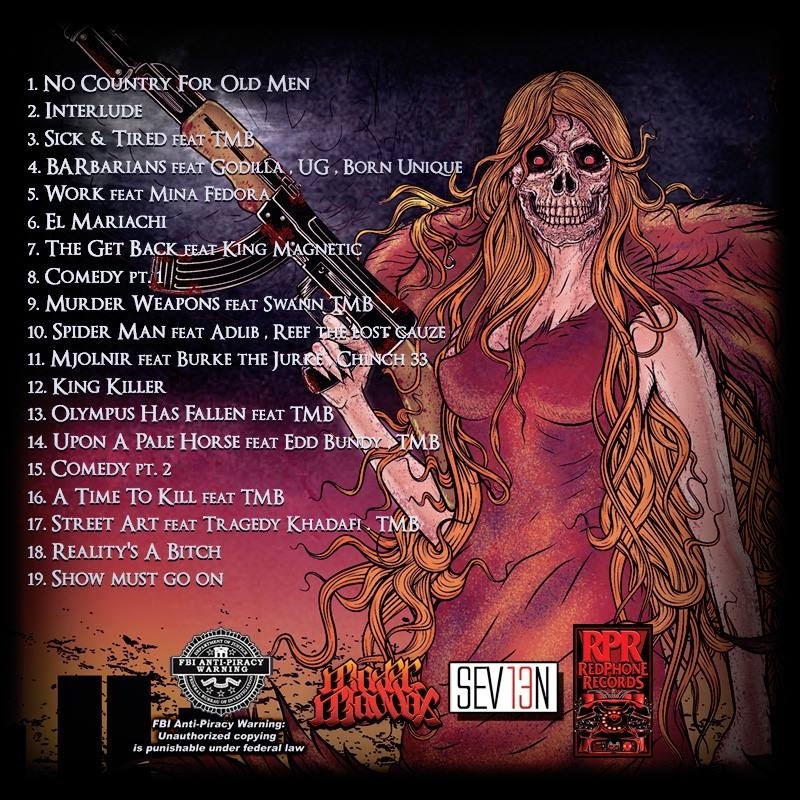 It also boasts features from Tragedy Khadafi, Adlib, Burke the Jurke, Reef the Lost Cauze and King Magnetic, with quality production courtesy of The Snowgoons’ Sicknature, C Lance of Jedi Mind Tricks, Nemesis, Skammadix, Vanderslice, Hellzwind, Engineer, Sultan Mir and the UK’s Edd Bundy. There is also turntablism throughout courtesy of fellow Red Phone labelmate DJ TMB. 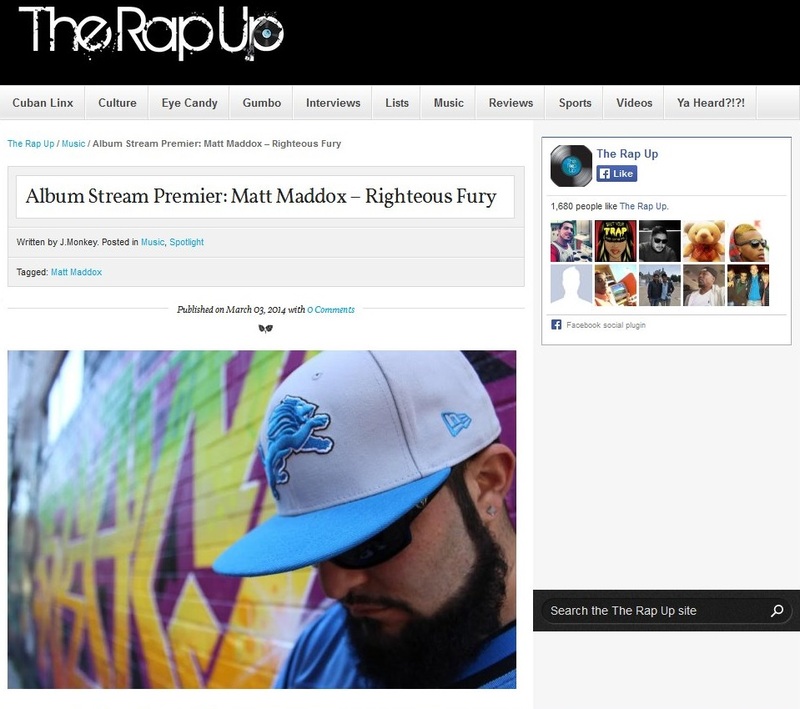 Matt Maddox released his new album Righteous Fury on Tuesday 25th February 2014, the follow up to his 2010 release Asylum Artistry. 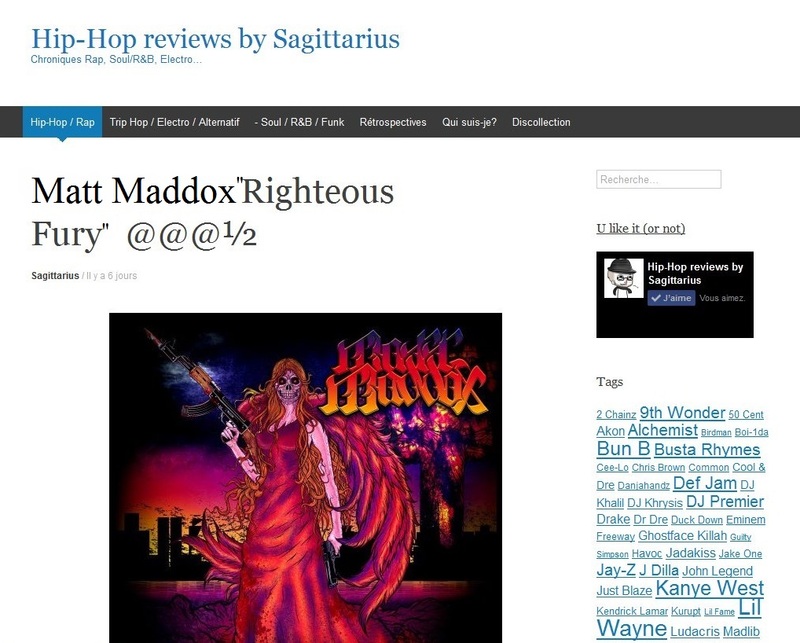 Matt Maddox released his sophomore album “Righteous Fury” today, 25th February 2014. Out on Red Phone Records / Seven 13 Music, it is available in physical CD & digital format worldwide : UK, Europe, USA, Canada, Australia, Japan. Just do a quick search on the internet and you’ll find whichever one suits you best. Couple examples would be the CD at UGHH.com HERE and you can buy digitally via iTunes HERE but there are many more in every territory. It would also be an idea to follow the labels on twitter @RedPhoneRecords and @Seven13Music as they will regularly highlight the various stores in different territories who are selling, and of course you can always send them a message about any particular country – they’ll be sure to let you know! !